At least 11 people, including two children, have been killed and 22 injured when a bomb exploded in a passenger bus in Pakistan's restive Balochistan province. The explosion took place just as the vehicle was due to leave a bus terminal at Quetta's Saryab Road yesterday night. Officials said most of those killed were daily wage labourers, adding that eight of the injured were in a critical condition. Inspector General police of Balochistan province, Almish Khan told reporters that a timer device was planted on the roof of the bus in the baggage of the passengers. "It was meant to cause maximum damage and casualties as this is the last bus to leave the terminal everyday," Khan said. Police surgeon Dr Noor Baloch told PTI that most of the deceased were sitting in the back seats or on the roof of the bus and were killed immediately. "The dead include two children while eight passengers who were brought to the hospital are in a critical condition," he said. 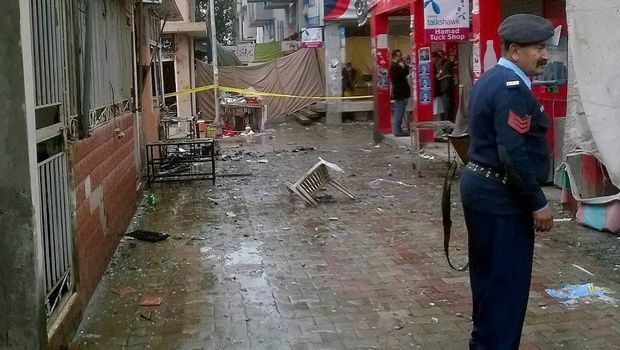 The explosion took place at a bus terminal in Dukani Baba Chowk area on the main Saryab Road, rescue officials said. The registration number of the bus was confirmed as BSA-348. Balochistan Chief Minister, Dr Malik Baloch, strongly condemned the bombing and termed it "a conspiracy against durable peace in Balochistan." Balochistan has been whacked due to violence by ethnic Baloch seeking greater control over resources and al-Qaeda linked militants. Under National Action Plan , the groups are being targeted through a systematic action by the security forces.